Did you know Quasimodo was in a Christmas special from the 1980’s? 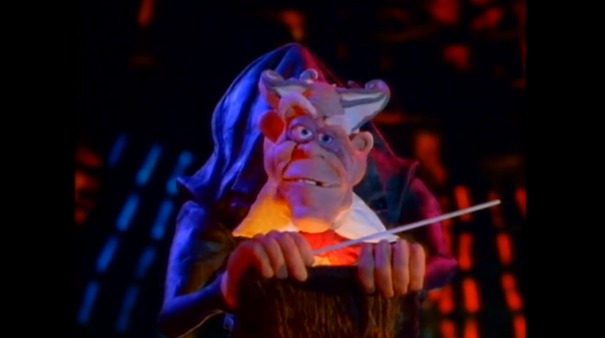 He was in the Will Vinton’s Claymation Christmas Celebration which aired in 1987. That’s right Quasimodo is made of clay here. In it Quasimodo, who has a Beethoven vibe going on which is disconcerting, is conducting choir bells who are performing Carol of the Bells and one dumb bell (ha get it) is making him mad for not taking it seriously. Quasimodo wins in the end though.